"Atmospheric one-man electro noise maker Octavia Freud has echoes of Lydia Lunch and Poison Girls melding with more contemporary sound mosaic makers like Tune-Yards and Solex. It is an oddball treat well worth your investigation." ​"Lo fi space pop solo artiste Octavia Freud is the most exciting new act I've come across for a long time." 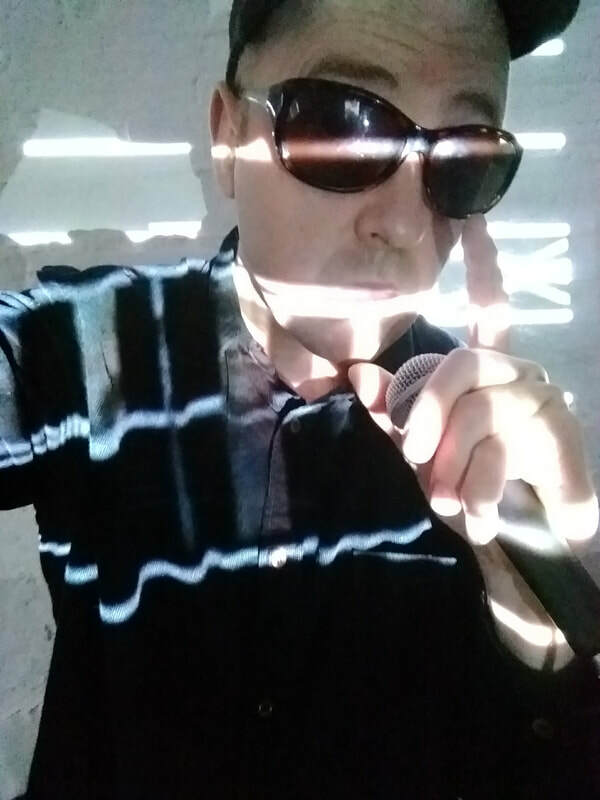 Octavia Freud frontman Martin Andrews has been asked by Modern Art Oxford to compile a playlist of some of his favourite tunes and a blog of his cultural year for their website. This will be followed up with Martin curating a series of gigs in their Yard space over the summer. Check out his playlist and blog on their website. Octavia Freud are super excited to play The Bullingdon in Oxford on Thursday 21st March 2019. Headliners Means Of Production will be presenting their own world of polished cold synth with oddball visuals ...plus we will be sharing the stage with the glorious Enjoyable Listens with their take on 80's dark suburban pop..and Mojave will be keeping it real with choice electronic sounds. See you there! Doors 7pm. See gig page for details. ​Octavia Freud also play a brand new electronic jam session at The Amersham Arms, London on 10th March 2019 from 2-6pm. See flyer for details. Octavia Freud have just finished a remix of Tiger Mendoza's 'And Then' track for a remix project in aid of Food banks in Oxford. Expected release spring 2019. Watch out for an exclusive clip on the music page over the next few weeks. Octavia Freud is also working on new tracks for an upcoming E.P in early 2019. Check out the artwork here and demo's of tracks on the music page. There is also a brand new remix available of the Octavia Freud track 'Beautiful Love' by the wonderful Riddim Creators. Check out the music page for an exclusive listen. Octavia Freud's debut album is out now. The 10 track LP, 'Romance & heartache' is available to buy on various digital platforms including iTunes and Amazon and can be streamed via Spotify. A limited run of digipack CD copies are available to order via the contact page and at upcoming gigs. Anyone local to Oxford, UK can also purchase the album at the wonderful independent TRUCK records store on the Cowley road. To hear tracks off the album head over to the music page. A selection of Octavia Freud's early recordings have been put together on a brand new 4 track compilation, 'Reflections in light' to coincide with the release of Octavia Freud's debut album. ​The E.P can be accessed via iTunes, Amazon and Spotify.